A video posted to social media apparently shows a washroom at a Regina McDonald’s restaurant littered with used needles. 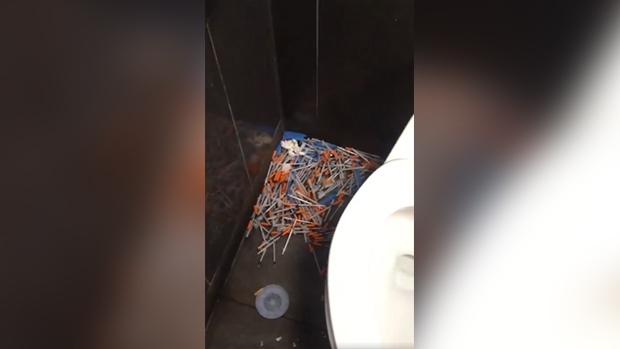 A video posted to social media shows a washroom at a Regina McDonald’s restaurant littered with used needles. The video, which was posted over the weekend, was allegedly shot at the McDonald’s location at Dewdney Avenue and Albert Street, just outside of Regina’s downtown core. It has been viewed thousands of times since. In a statement sent to CTV Regina, a McDonald’s Canada spokesperson said that the company is aware of the video.